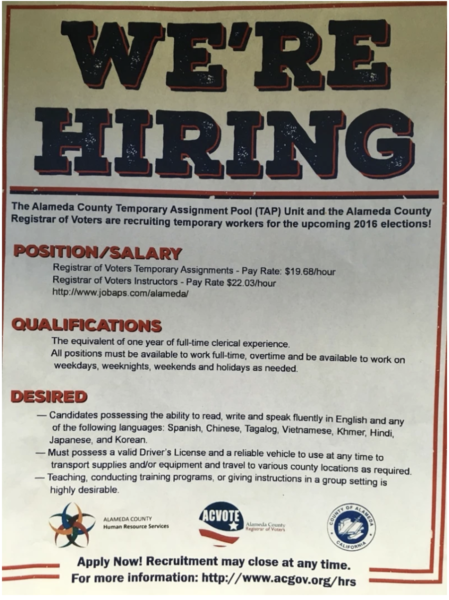 Temporary Workers needed for the upcoming 2016 Elections. Need a part-time job during the election season? Live around Oakland,CA? Check out this temp job posting! Tax Day 2016: Which items & services are tax deductible? Goal for 2016: Get in shape – Happy New Year! A new, fast way to buy and sell with others. Bid on or list items for auction on 5miles today! The 5miles Team Goes Painting for Thanksgiving 2018! Copyright © 2019 5miles. Powered by WordPress. Theme: Ample by ThemeGrill.